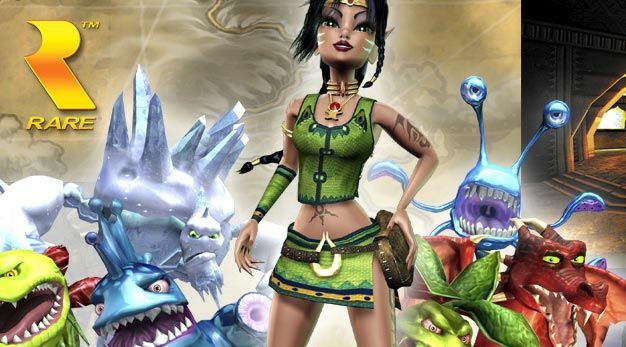 Kameo 2 cancelled to make way for Natal games? My editor seems to have shed a tear this morning, as a Microsoft source claims that an unannounced sequel to the 360 launch title Kameo: Elements of Power has been canned. The whistleblower goes on to say that Kameo 2 was just one of multiple ‘traditional’ franchise sequels to get the axe to make way for Project Natal-supported games. While the need for Rare to work on Natal games contributed to the game’s cancellation, disappointing sales of the first game were also a factor, the source says. When Microsoft was asked for comment, the publisher gave their standard “Microsoft does not comment on rumor and speculation” answer. While I am disappointed but not surprised that there won’t be a sequel to Kameo, as I thought it was a fine little launch title, I’m a little more worried about Microsoft cancelling ‘traditional’ titles to make way for Natal titles. Rare has been nothing more then a sacrificial lamb since Microsoft acquired the company, having put out quality products that don’t sell very well and get no marketing so Microsoft can get on the E3 stage and say “See!?! We make kids games too!” I just hope that a new Perfect Dark isn’t one of the games that got the boot.